When it comes to popping that all-important question, it can be hard to know the right words to say, picking the perfect ring and then the dilemma of how you’re going to actually ask. Fear not, here we have some brilliant ways in which men all over the world have answered just that and all received the answer ‘yes’ to the scariest question they’ll ever have to ask. 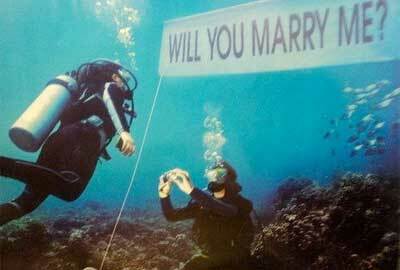 This is definitely an original proposal, which is really romantic and peaceful whilst underwater, doing what they both enjoy. Poor Lindsay had no clue, but this smoothly planned popping of the question is one to go down in history! Not only this but when she looks back at the pictures she will see her proposal forever whilst shes screaming her head off! If your love is a book worm then this is the way forward! 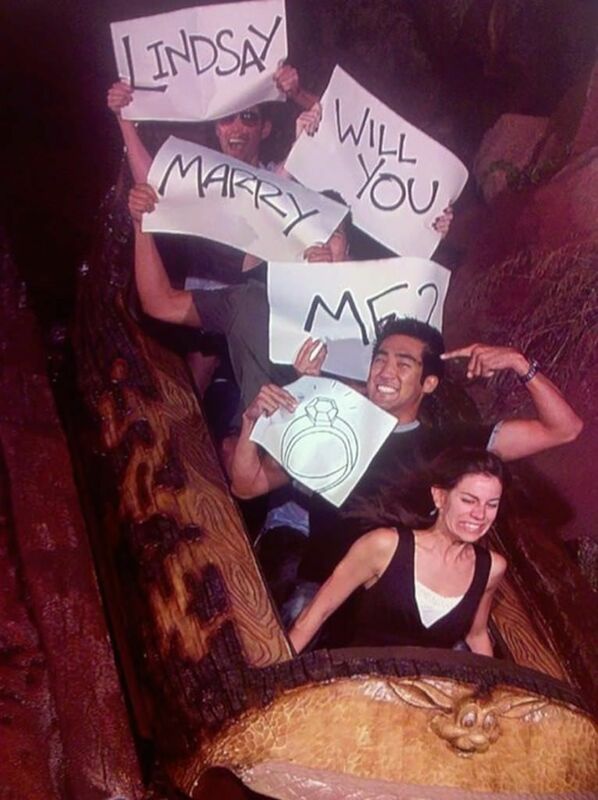 This is so romantic and unexpected which makes this proposal super special. Here we have the men that have enlisted the help of their adorable pooches to the leg work and pop the question for them. After all a dog is a mans best friend, so why not do it as a team and make the moment super cute too. And she did! 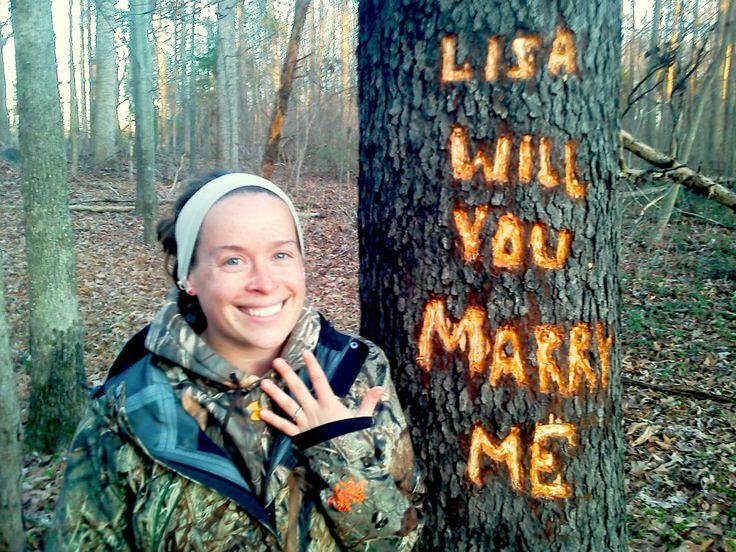 This is one big romantic statement and that sign on the tree will last there forever, which makes it super romantic as that is now their place to remember the proposal. 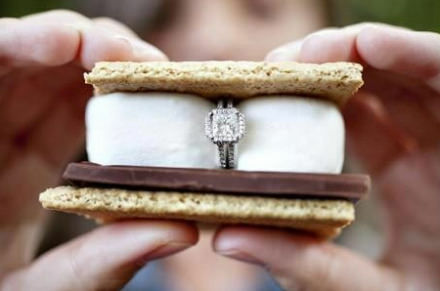 If your potential wife to be is a foodie or has a sweet tooth then this is a really sweet way to pop the question, just make sure they spot the ring before taking a bite as that could be a bit of an awkward situation. If you’re too nervous, call in the help of an adorable child! 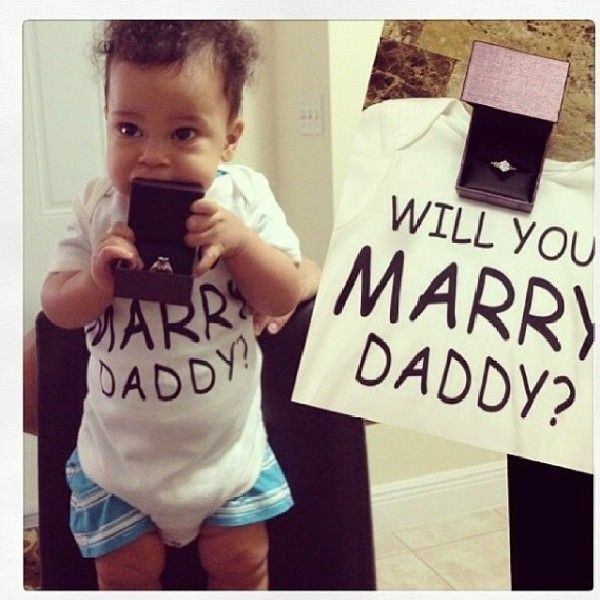 Which this person has done with their baby, asking them to marry them with the ring in hand, this is tear jerking alone! 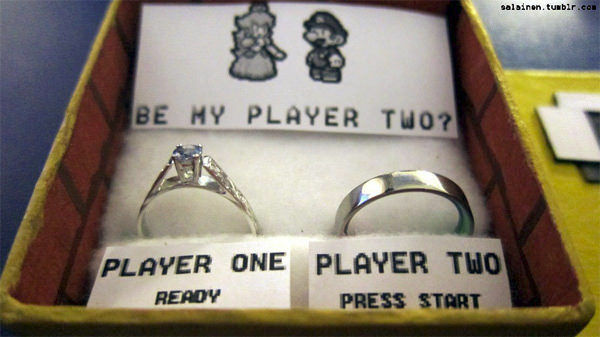 This is the best gamer proposal, it is witty and cute. 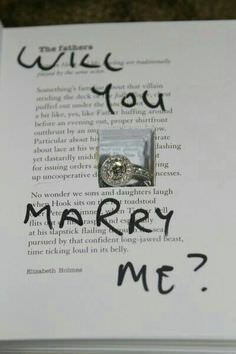 This is also a great way to be super thoughtful as you are involving what your hobby as a couple is into the proposal. 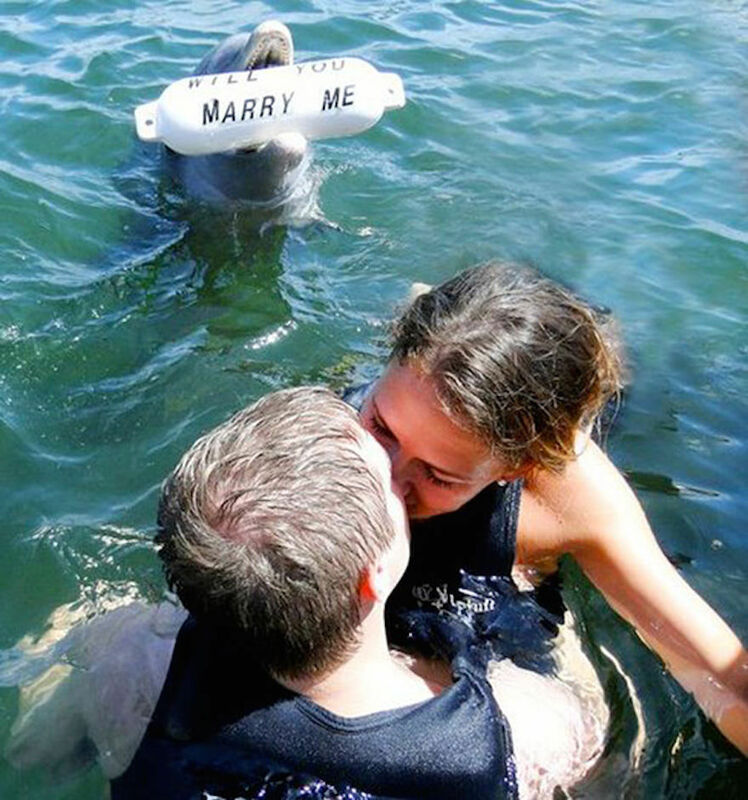 Here we have the ultimate wingman dolphin, popping up with the sign so that when the lucky lady looks back at the photos she will her proposal! This is one to remember and a prize for originality. 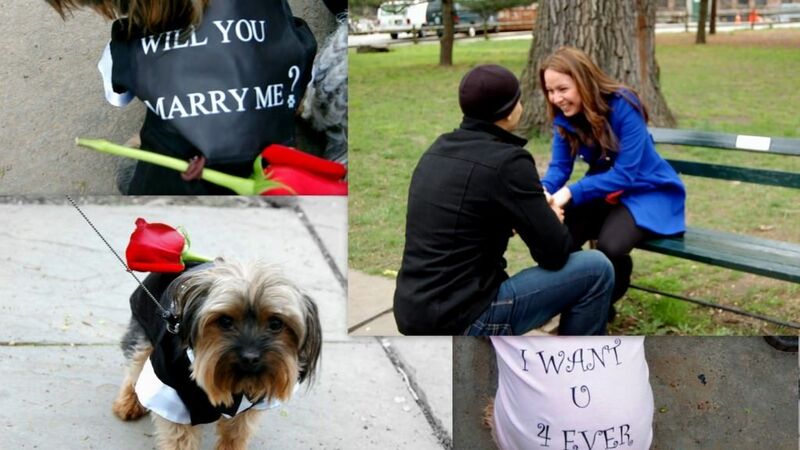 This is the cutest proposal yet, with the rose attached to the personalised t-shirt and the puppies little face! This really shows a lot of thought and effort was involved and it was pulled off so well. A lot of the time, charitable acts by celebrities are publicised in the media and the reaction isn't always positive because some people think celebrities shouldn't publicise their charity work? What do you think - should celebrities publicise charity work or not? Henna Never Looked So Good Until These 11 Celebrities Came and Rocked the Trend! These Stars Photoshopped Into Each Other Look So Natural & Beautiful – #10 Make A Great Combo!